Since my last update I’ve managed to finish welding in the LR floor pan and the replacement rear seat support. 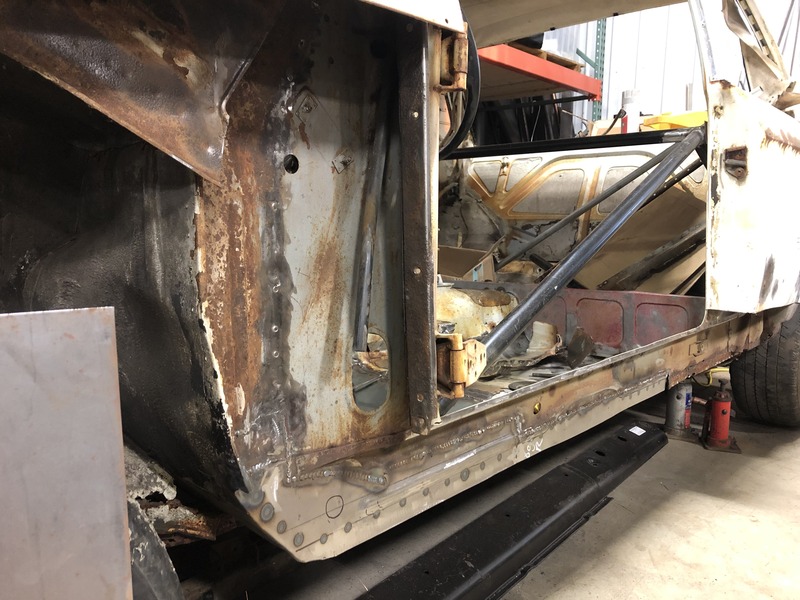 I added a few more braces to the compartment in anticipation of the complete removal of the left outer rocker and the outer A-pillar cover sheet. I also removed a section of the left quarter panel to facilitate removing the outer rocker. The remaining outer rocker came off without incident. I’ve started making repairs to the inner rocker. The bottom 1-1/2” or so was perforated or just too thin to do anything with so I’ve been removing sections and recreating them with 16ga sheet steel and a bead roller to maintain the factory rib details. The outer A sheet is gone now. 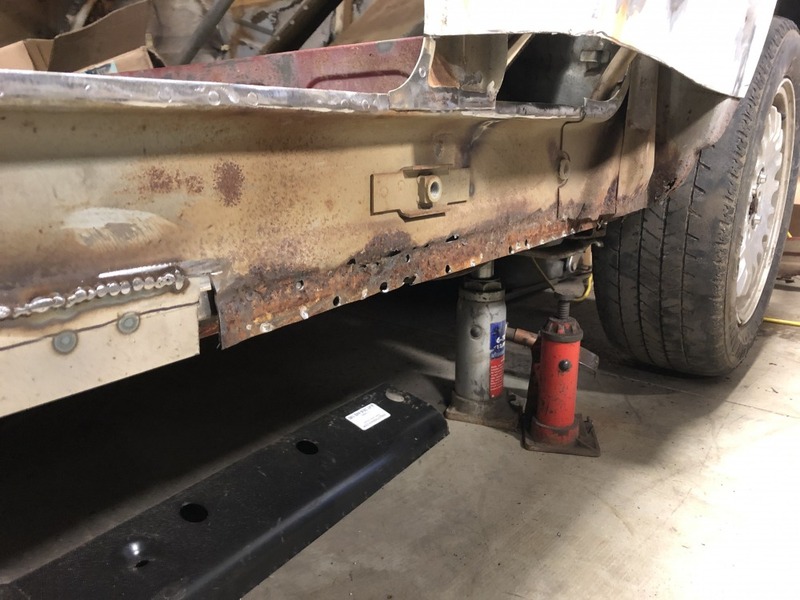 It looks like the trailing fender mount flange needs to be removed to get “clean margins” so that’s coming off next. I just ordered a pair of outer wing sheets. The car smells of mice and I’m guessing the little beggars have nests in the cavity under the fuse box and in the same cavity on the pass side. Both sheets have holes in them and are generally rotten so at $75 ea I felt it was money well spent. 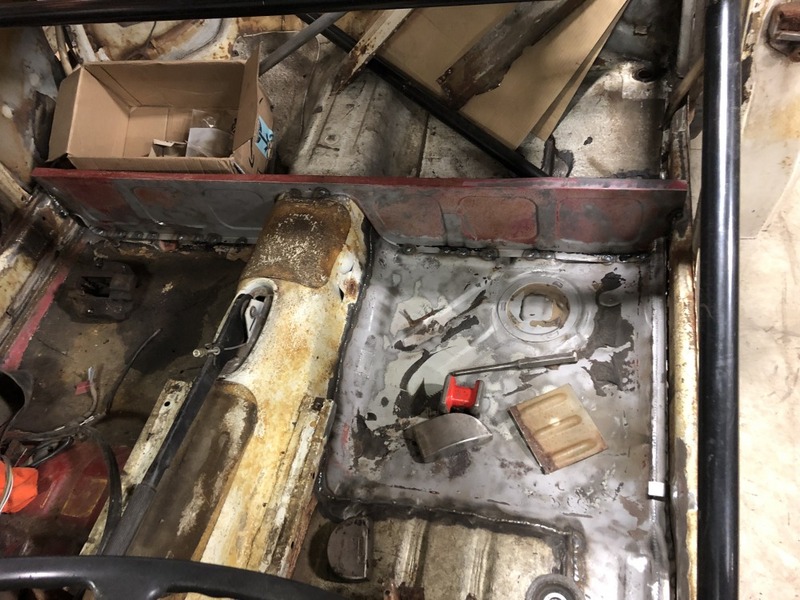 So far the work order for now is:Replace drivers door check mount, A sheet, fender flange, finish inner rocker repairs, install outer rocker, replace wing sheets, replace/repair left quarter, replace left side door hinges. Then it’s either onto the trunk repairs or the left frame rail. I’m thinking the trunk makes the most sense as I’m not mentally prepared to remove the Driveline and nose yet. Looks like you are making good progress with reconstruction! If it makes you feel any better, I am in similar position except that I need to replace Fand R floors and am trying to decide whether to remove quarter to allow full outer rocker replacement or cutting rocker in near the quarter seam. My L frame rail is bad under floor but ok in engine bay. I pulled my wing sheet and found a nest under wiring harness...scary. Planning to pull fuse block out to enable cleanup underneath. Anyway, I digress. Nice work and hope it continues well.